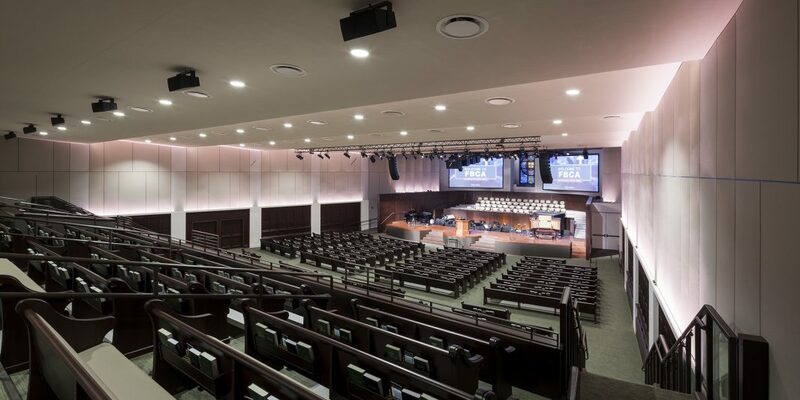 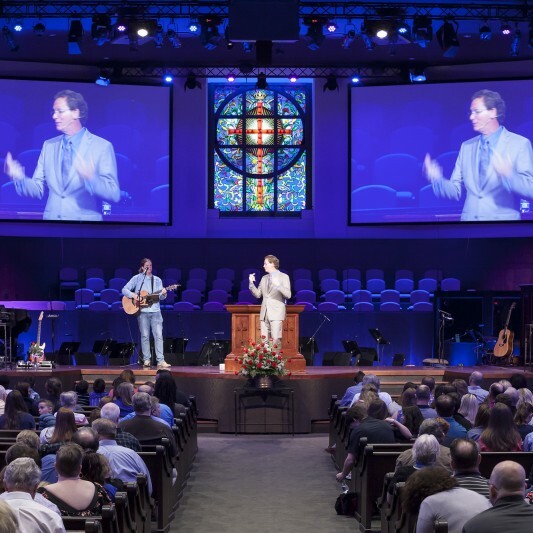 As a part of a multiple-phase masterplan by Beck to enlarge and modernize First Baptist Arlington’s downtown campus, Beck designed a major renovation of the existing 20,300 SF sanctuary. 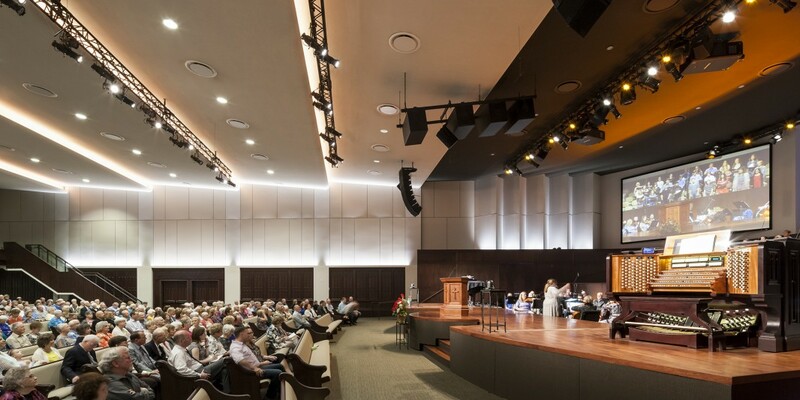 The church wanted a sacred, celebratory space to support its culture of worship of God and service to the world. 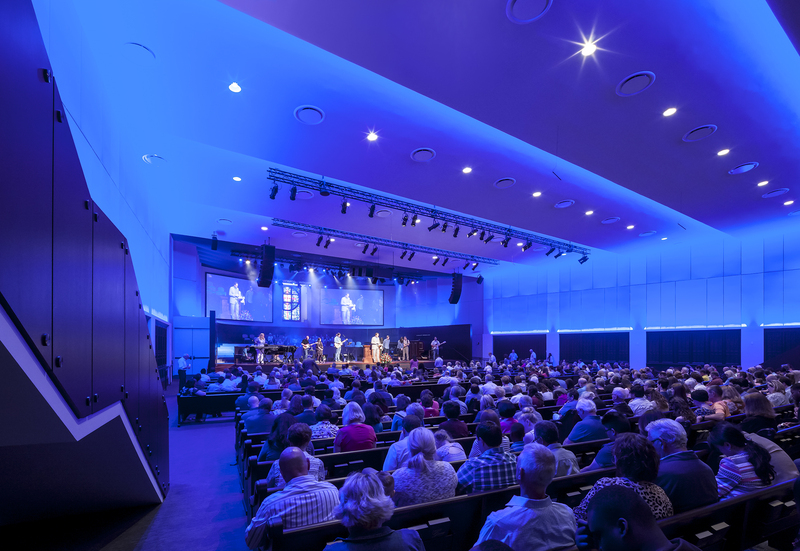 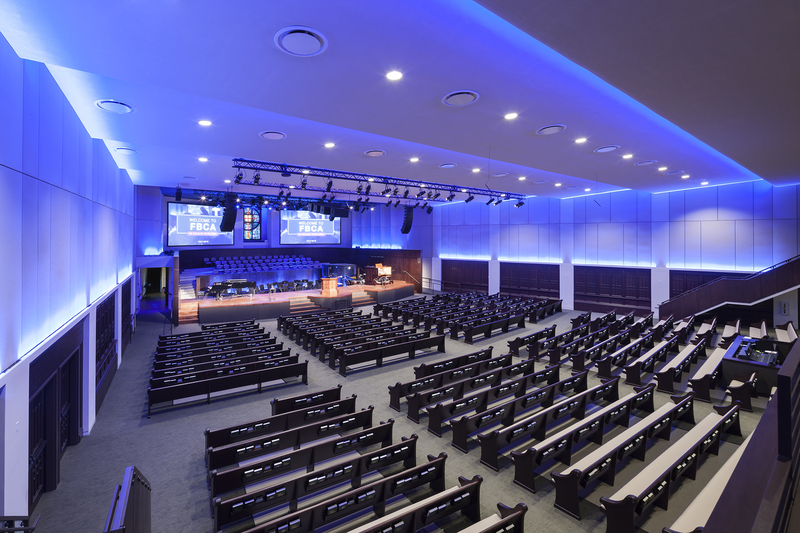 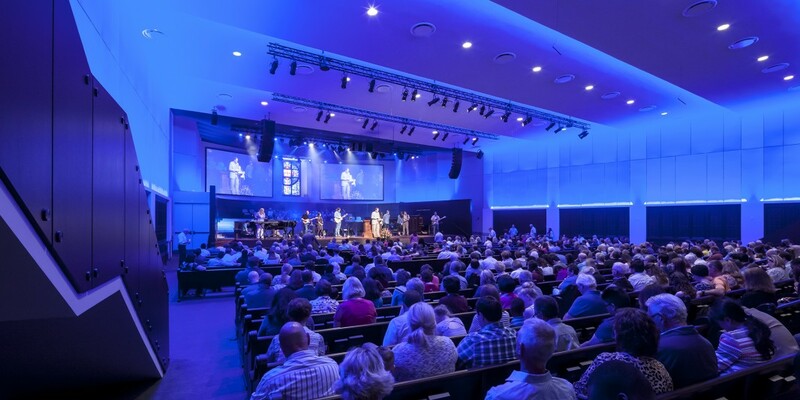 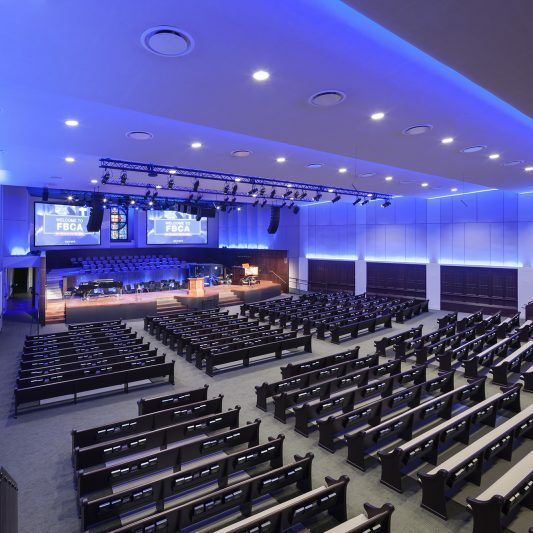 To support its multi-faceted experience, the space was designed to support traditional church music and modern worship with a band and singers, which required re-construction of the existing platform areas and back-of-house support. 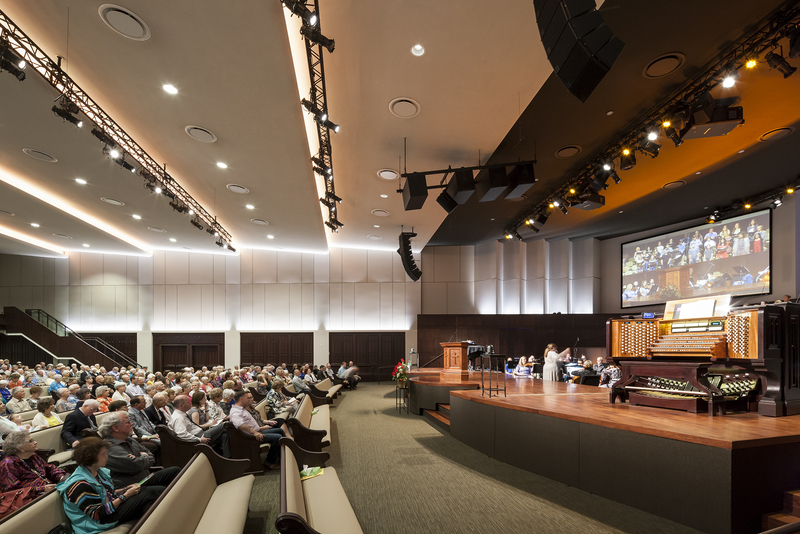 The interior design of the sanctuary was re-imagined with new finishes, including custom wood panels and new pews in the 1300-seat space. 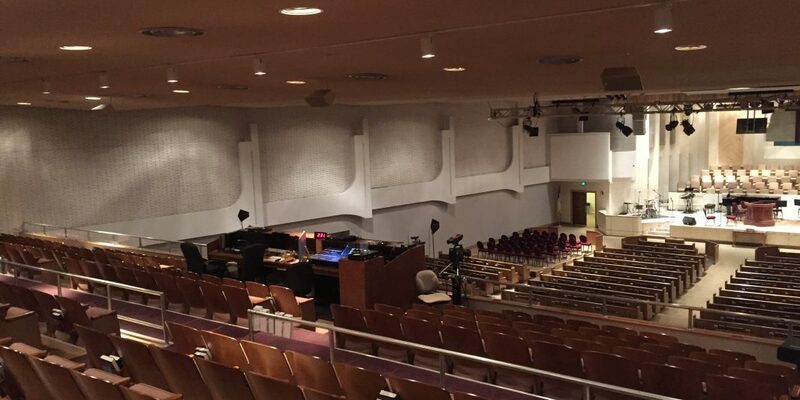 New lighting, video systems, and audio system upgrades were provided. 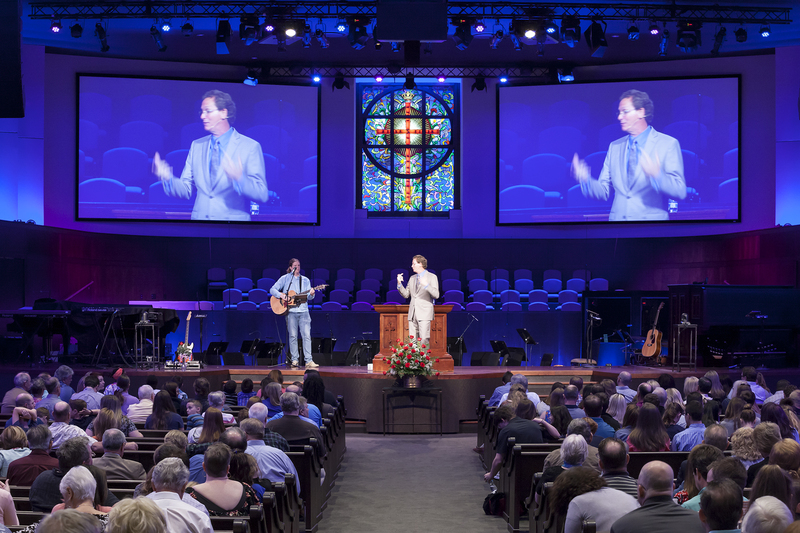 New stairs connecting the balcony to the main floor were also added, creating a tangible connection of all worshippers in the space.